Summer and weeds go hand in hand. Some gardeners seem to spend more time trying to kill weeds than enjoying the warmth of summertime. Chemical-based weed killers are effective, yet they are harsh on the environment. 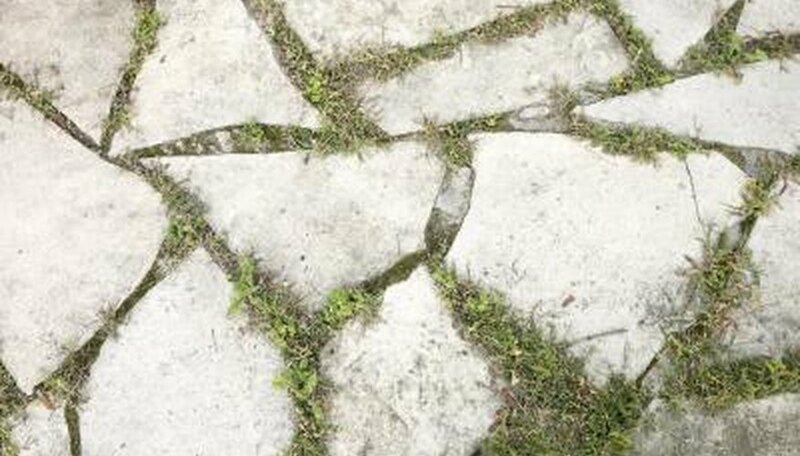 Weeds in a walkway that grow through cracks or in between brick or patio block can be a pain to remove, but there is a natural alternative and an easy way to apply it to get the job done. Choose a sunny and preferably hot day to kill weeds in the walkway or anywhere they need to be controlled. Hotter days allow the treatment to work more quickly and effectively to eliminate weeds. Fill a garden pump sprayer with 1 to 2 gallons of white vinegar. The more you fill it, the less pumping you'll need to do to build up pressure in the container to use the sprayer at full force. Don't fill it past the fill line marked on the outside. Adjust the nozzle on the end of the wand to apply an even spray of vinegar to selected grass and weed areas of the walkway. Most garden sprayers will adjust from a steady stream to a fine spray. Using the spray will cover more weed area. Spray the vinegar directly onto the weeds, coating the leaves and the stems. Avoid areas where plants, flowers, shrubs or vegetables may be growing. As with most herbicides, white vinegar will kill whatever plant life it comes in contact with.